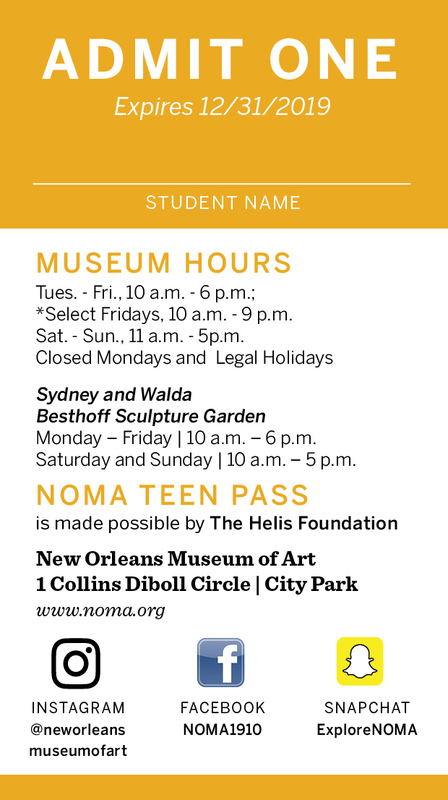 In celebration of National Poetry Month, the New Orleans Museum of Art is offering a free poetry workshop on Saturday, April 6, for students in grades 8–12, led by Louisiana Poet Laureate Jack B. Bedell. Workshop participants will tour the museum and select a work of art that inspires or engages them. Working with a professional writer, students will develop and write a poem. Students are invited to submit their completed poem to NOMA for publication in a soft-bound book that will be mailed to all participants. Experienced and novice poets are invited to apply by March 29. Jack B. Bedell is the Louisiana Poet Laureate fro 2017–2019. He is Professor of English and Coordinator of Creative Writing at Southeastern Louisiana University where he also edits Louisiana Literature and directs the Louisiana Literature Press. His latest collections are Elliptic (Yellow Flag Press, 2016), Revenant (Blue Horse Press, 2016),and Bone-Hollow, True: New & Selected Poems (Texas Review Press, 2013). 10 a.m. Meet at main entrance to the sculpture garden for an introduction and tour. 10: 45 a.m. Workshop participants tour NOMA galleries after discussing connections between poetry and art. 1 – 1:45 p.m. Poetry lesson with workshop leaders. 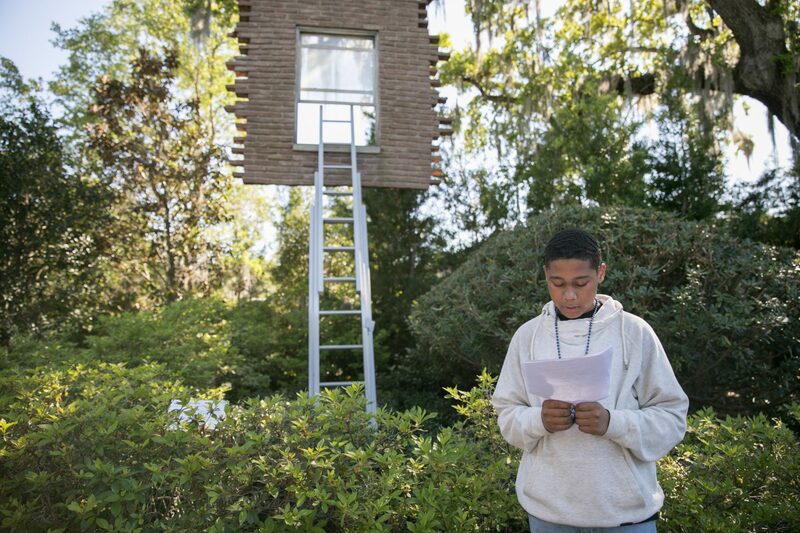 1:45 – 2:45 p.m. Students write poems and revisit galleries and the sculpture garden. 2:45 – 3 p.m. Regroup with workshop leaders. 3 – 4 p.m. Poetry readings in front of selected art works by students and workshop leaders. NOTE: Students are encouraged to visit NOMA before April 6 to look at art works ahead of time. It is suggested that they take photos (without flash!) of the pieces in the permanent collection that inspire them. Artist name or manufacturer’s company, nationality and dates, such as “Antoine-Jean Gros, French, 1771–1835,” or “Johann Goetz-Witwe Glassworks, Bohemia, Active 1840–1940. Title of work and date completed (sometimes a date range): Vase with Snake, circa 1895–1900. NOMA will provide paper, pencils, and a laptop computer to compose poetry during the hours of the workshop. Students will have one week after the workshop to complete their poem and submit it for publication.